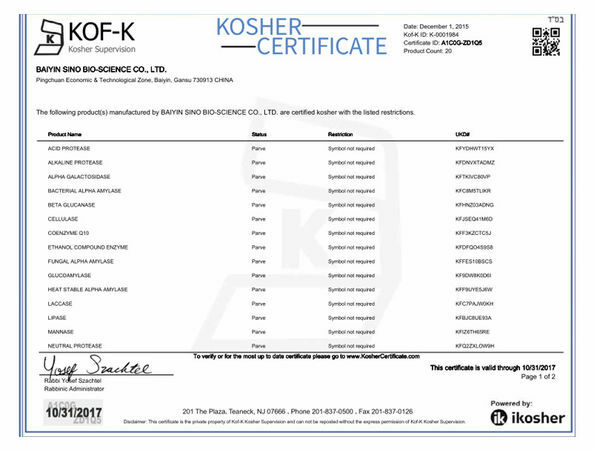 Szym-XY150BE(TR) is a type of xylanase enzyme made from Trichoderma reesei through deep fermentation and extraction technique. 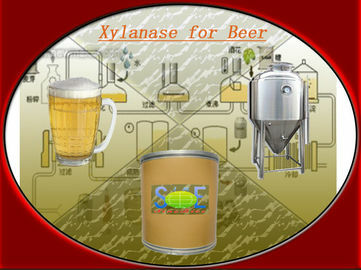 Xylan is the second most abundant polysaccharide and a major component of plant cell wall and plant structure tissue. As one of the important part of hemicellulose, xylan is always combined with cellulose, xylogen and the others existing in the plant. Cereal xylans contain large quantities of L-arabinose and are therefore often referred to as arabinoxylans. Xylanase degrades β-1,4-xylosidase from xylan molecule and hydrolysate it into xylo-oligosaccharides and xylose. 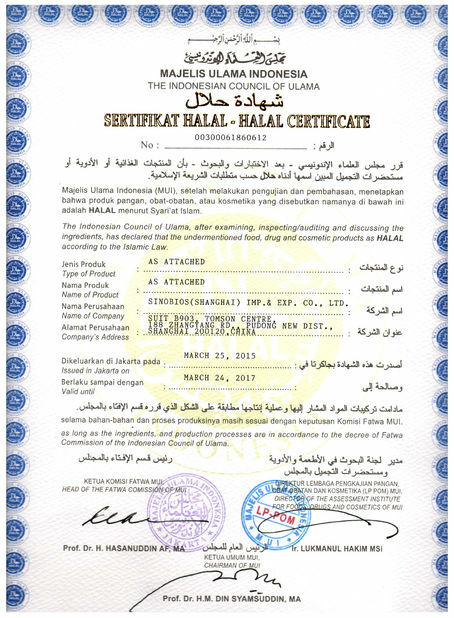 So it is widely applied in industries of beer brewing, distillery, animal feed, paper and pulp and etc. One unit of xylanase is defined as the amount of enzyme needed to release 1umol reducing sugar from 5mg/mL xylan solution in 1 minute at pH5.5 and 37°C. --Eliminate or decrease the turbidity caused by non-starch polysaccharide. Dissolve and dilute this product using saccharify water, then put into mash kettle at the beginning of saccharification. 25kgs/bag; or as per clients' requirements. Xylanase is an active biological preparation, should be stored and transported in a cool, dry and ventilated place avoiding sunlight. Under favorable storage condition, the shelf life is 18 months.